and we are there with you every step of the way. Health Coach – Kim Baur, B.A. Kim is a health coach certified through the Institute for Integrative Nutrition and attained her B.A. in Psychology from U.C.L.A. She is passionate about supporting people toward their health goals so they can live the life they deserve. With over 20 years of background in management, and cooking since she was a young girl, she is effective at guiding people toward their goals using methods that are practical, effective, and delicious. How do I work with a Health Coach? As part of your 6 month Program with your doctor, you will have 2 x 60 minute coaching sessions with our health coach and weekly email checkins for the first 2 months. The goal is to foster a strong coaching relationship with a specialist in motivation who is there to support you in implementing the specifics of Dr. Lo’s recommendations. We understand these recommendations can feel overwhelming for many. Your health coach will help you identify barriers, and limitations while also giving you tools to overcome those barriers and limitations so you feel prepared and confident about making lifestyle changes. Remember, 80% of disease can be improved and prevented by lifestyle. We want to give you the best support possible to make long-term habit-change so you can live more happily and healthily. You may extend your work with our Health Coach after those 2 complementary visits with our great valued packages. You may also work with our Health Coach separately without working with our doctors as your first step towards taking control of your health. See here for ways to work with our Health Coach. 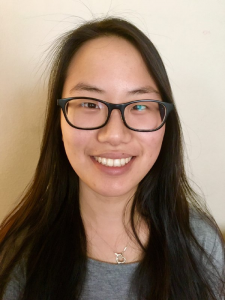 Patient Care Coordinator – Emily Hsiao, B.A. Emily is a student at UC Berkeley motivated by a passion for medicine. She is currently a year away from graduating with a double major in Neuroscience and English. In her free time, she is an avid martial artist that loves to go to the gym, cook and play music. She is now contributing to the clinic as Patient Care Coordinator. She is here to support our patients to be successful in this health journey, help you stay accountable and navigate through processes around Lab tests, Scheduling, and Finding Resources that matches your needs.